Online companies that offer the best available modular shipping offices for sale offer consumers in the private and business sectors a valuable product. 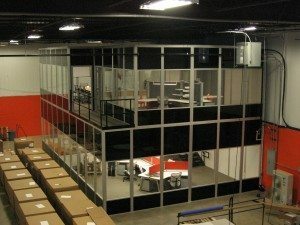 The innovative uses of modular shipping office options allows for added storage or office space to a business. Or a beautifully designed, fully furnished dwelling for the homeowner. Cheap shipping office prices online offer options in either renting buying or investing in second hand shipping offices. Be sure to conduct a bit of research on the company you wish to deal with when ordering your shipping office online. Various personal and more importantly business activities will necessitate the need for shipping offices that can be utilized on a daily basis. However, if you are finding it difficult to dispose of the container at a later stage. You can always rent the space out or sell the office on trusted sites as eBay in order to sell the buiding as quickly as possible. Quality shipping offices and the purchase of the newer kinds can benefit the buyer. Containers that are second hand must be checked for leaks and holes and any other signs of dilapidation. These damages will require more than just a paint job for repairs. The shipping office you choose must provide you with insulation and superior windows, doors and electrical applications to create a more enjoyable work space and a comfortable environment. When you conduct a bit or research on the prices of new shipping offices on sale. You will find out that these buildings can cost in the regions of $5,000 up to $8,000. However, if you are on a strict budget you can pick up a second hand container for around $1,500. Be sure to compare a few quotes before you choose your modular shipping options. You can turn your shipping office into a lucrative method to save on money and to increase your profits. London is now an area that features other dwellings and student apartments made out of reused shipping office containers. Bank branches located in Germany have made use of shipping containers for temporary office spaces. In areas that are prone to tornados or hurricanes these durable containers can be used as “alternative shelter”. When you have decided to invest in these solutions for your business you can benefit from reliable, secure and affordable structures. You can use your shipping office for storage space or to add in much need office space when your business has experiences a sudden growth spurt. Shipping offices are an easy and affordable way to ensure your employees are comfortable and safe at work. To find the most competitive pricing on suitable shipping office uses the Internet to locate reputable companies in your area. In addition you can take advantage from requesting quotes to help you determine which company can offer you the best prices along with a quality service. Some companies even provide the option of free drawings and a super-fast delivery method once your order has been secured. The use of shipping offices has spread as far as a way to improve communities. The containers are extremely useful in providing schools with an affordable option to expand on existing classroom space. Less fortunate area’s that are in need of housing options can greatly benefit from a shipping office as a new place of residence. Investing in these popular options is a way for you to add value to your business at a much lower cost compared to traditional type building constructions. 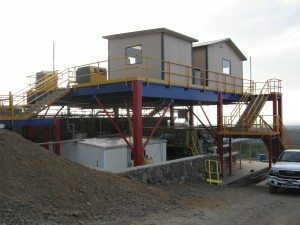 The structures are regarded as environmentally friendly and you can move your building to a new location when you relocate. Find out more today and request your free quote.